It’s finally here! Watch the first trailer for ‘Captain Marvel’! We’ve been waiting for what seems like an eternity, but Marvel has finally released the first full trailer for Captain Marvel. When Marvel announced they would not be attending 2018 San Diego Comic Con, which meant we wouldn’t be getting new trailers for some highly anticipated movies like Captain Marvel over the summer, we were all pretty bummed. 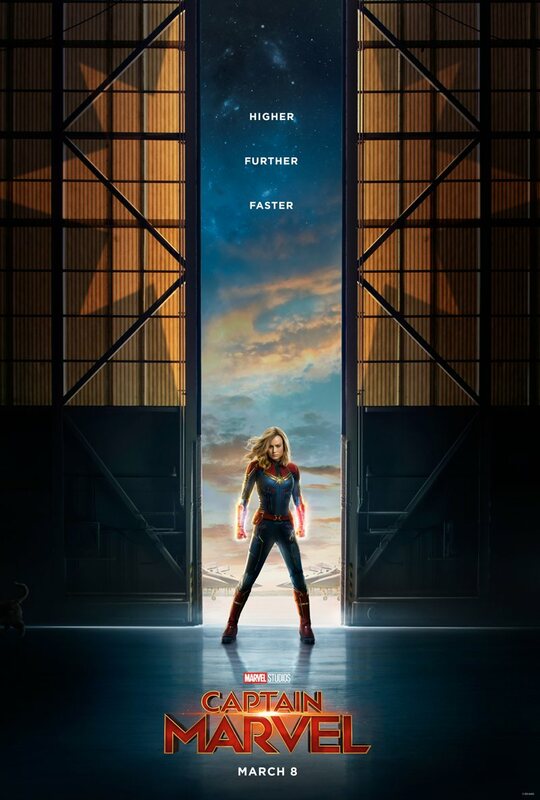 Fans started speculating on when that first trailer would drop, and every passing month Marvel fans thought, “Surely THIS will be the month, right?” Well thankfully, our waiting is over, and Brie Larson–Carol Danvers herself–released the first Captain Marvel trailer on Good Morning America. And happily, we’ve got the trailer right here for you. So take a peek below and get the first taste of the MCU’s first female-led, standalone superhero movie. We can’t decide what we’re more excited about here, the story, the suit, or Carol herself. First off, can we talk about how much of a badass Brie Larson is in this trailer? We’ve gotten to see some official images of Larson suited up, but that was nothing like seeing her in action. Of course, we only get a quick look at Carol in her iconic red, blue, and gold suit, as she spends most of it in her Kree uniform. However, getting to see Captain Marvel in action has got us feeling completely shook. We also get to see just how much of an utter badass Carol Danvers is outside of her super-persona, and it’s got us absolutely dying for more content from this movie. And even better, we’ve got a healthy amount of young Nick Fury in this trailer. We get to see not only how he and Carol met (and the origins of Nick’s infamous pager), but it seems that meeting Carol Danvers is what keeps Fury working for S.H.I.E.L.D. Happily, Marvel hasn’t just dropped our first look in trailer form. They’ve also released this amazing new poster for the movie, which we are officially obsessed with. Now if you’ll excuse us, we’re gonna have to go back and watch that trailer a few million more times while we wait with feverish anticipation for the movie to land in theaters. Luckily, the wait is getting shorter every day, as Captain Marvel releases in theaters everywhere on March 8, 2019.